Police have launched a murder investigation after a woman’s body was found at a Sussex home yesterday (Monday, March 21). The investigation was launched after police discovered the body at an address in West End, Herstmonceux shortly before 11.30am. Police investigating the scene. Picture by Eddie Mitchell. 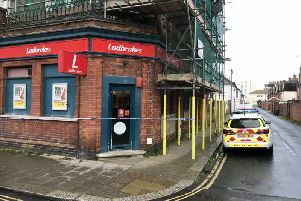 Detectives are waiting to speak to a 50-year-old man from Battle, known to the woman, who is currently being treated at the Royal Sussex County Hospital, Brighton, for serious injuries. Anyone who saw anything suspicious or who may have other relevant information is asked to email 101@sussex.pnn.police.uk or phone 101, quoting Operation Partridge.